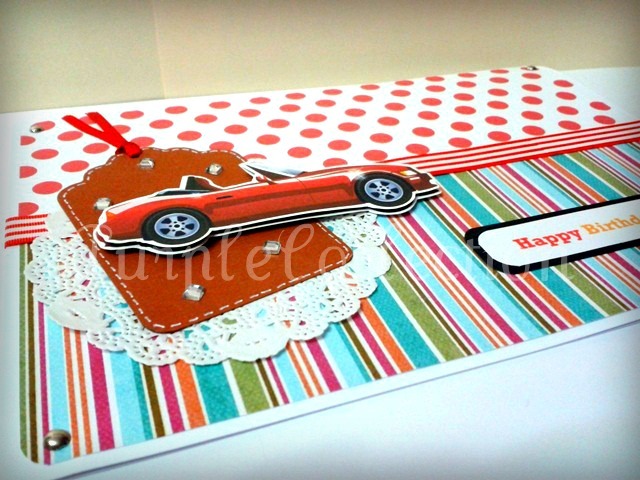 Hey, I've made this customised card for Greena. 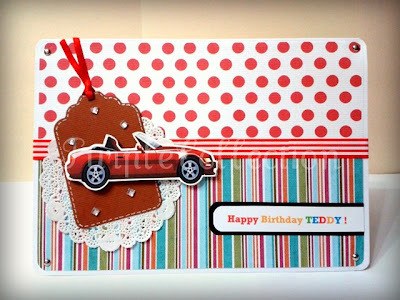 This is a birthday card for her hubby, Teddy, with the theme 'car + red + black'. Supplies used: patterned paper designed by me, silver brads, doily, tag, satin ribbon, gross grain ribbon, flatback square rhinestones.